NuTerra, LLC, an Internet development company based in Green Bay, WI, has announced the launching of www.nelsonguides.com. 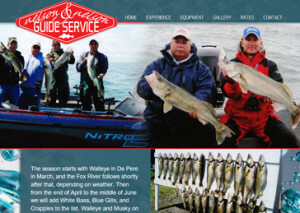 A Green Bay and De Pere Fish Guide Service, Nelson & Nelson Guide Services will connect you to the some of the best fishing in the world on the bay of Green Bay, the Fox River, and Lake Winnebago. Check it out today to see the what you could be catching this year. NuTerra, LLC, an internet development company based in Green Bay, WI, has announced the launching of www.greenbaystays.com. 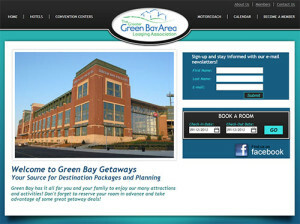 Green Bay Stays is a premier source for destination packaging and planning. If you taking a trip to Green Bay, look no further for access to over 39 member hotels in the Green Bay, Algoma, Mishicot, Kewaunee, and Two Rivers area. The Greater Green Bay Lodging Association has created the www.greenbaystays.com to illustrate Green Bay as a four season destination for historical tours, annual events, all types of sports and exciting nights. Whether it’s wine tasting, a cruise down the lovely Fox River, a visit to the home of the Lambeau Leap, or a night at the casino… dinner theaters, plays, concerts! Green Bay Stays is the place to plan the next trip to Green Bay.